For use with 5 panel garage doors. 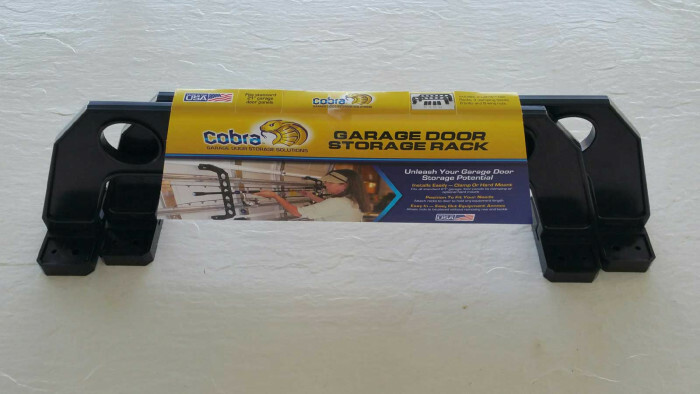 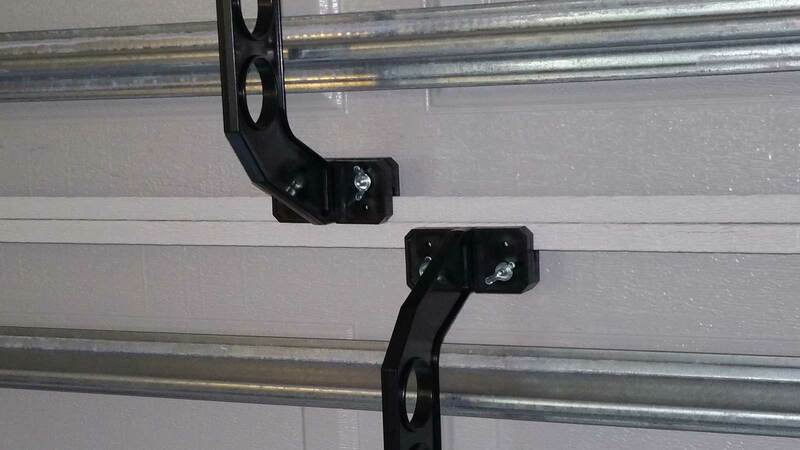 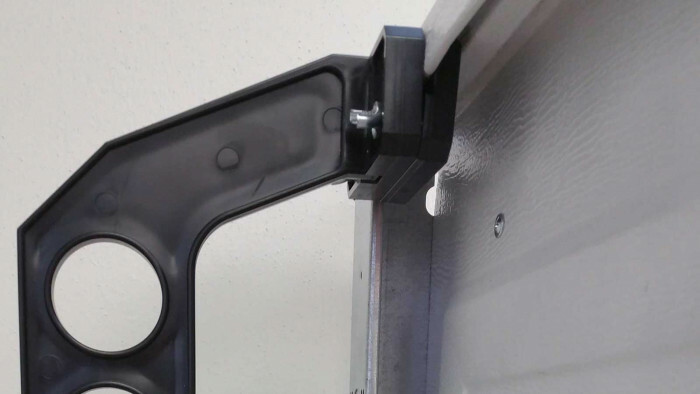 The Cobra garage door storage rack attaches to the garage door where the equipment can be safely stored, easily accessible and prevents the damage to the equipment while clearing the clutter in the garage. 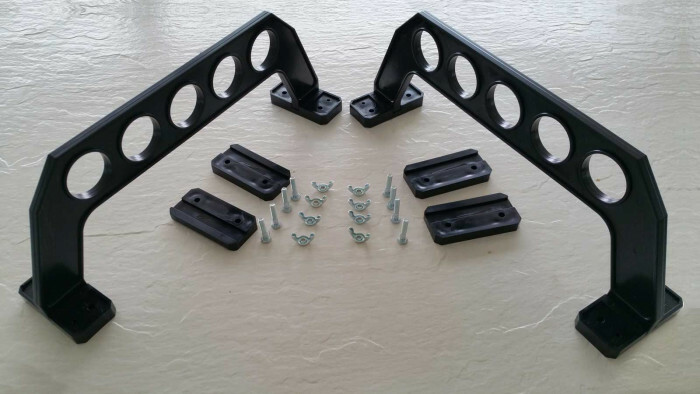 Made in the USA with durable, high strength ABS material. All hardware included for easy, no tool, installation. Protects your equipment from damage. 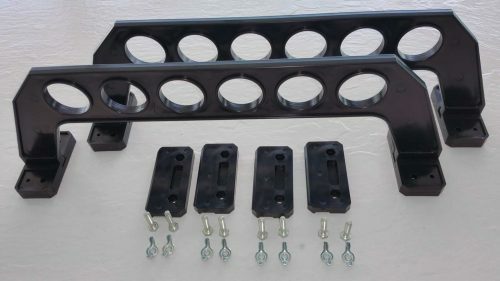 Just let me know when you order the other rack and I will put the extenders in the box.